Centralized control devastated Europe, now it threatens U.S. 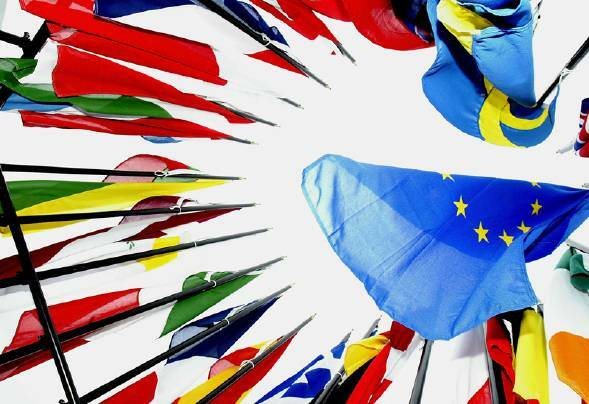 The Brussels elites often have trouble grasping that there’s a world beyond the European Union. Ever since the Lehman Brothers collapse six years ago, they’ve been talking about a “world recession.” Hmmm: World recession? Are Indian rickshaw drivers standing idle, Japanese pearl divers sighing with boredom, Mexican drug lords loafing about waiting for someone to behead? No. The rest of the world has shaken off the credit crunch bug. Only the EU appears to have picked up a chronic condition. Last year, according to the International Monetary Fund, the United States grew at 2.8 percent, Latin America by 2.9 percent, India by 4.7 percent, the Middle East by 4.9 percent, Africa by 5.1 percent and China by 7.7 percent. But the Eurozone shrank by 0.4 percent. I say “Eurozone,” not “Europe,” because the countries that kept their currencies — Britain, Sweden, Denmark, Norway, Switzerland, Poland — grew healthily enough. Incredibly, the eurozone is trembling on the brink of its third recession in six years. Its industrial production has slumped, its exports have fallen and its debt is rising. Business confidence has declined over the past 12 months from 35 to 5 percent, and you can see why. France last ran a balanced budget in 1974. Italy has, to a single approximation, not grown since it abandoned the lira. Even Germany, which has until now borne the weight of the euro, Atlas-like, is starting to sweat and sway. What has gone wrong? And are there any lessons here for Americans? Part of Europe’s slowdown has to do with long-term demographic trends. Put bluntly, Europeans stopped having enough babies around 1970. Some of the places freed up by the nonexistent kids were grabbed by immigrants but, even so, Europe is becoming older and, in consequence, less dynamic. The continent’s working-age population peaked in 2012 at 308 million, and will fall to 265 million by 2060. The ratio of pensioners to workers will rise from 28 percent to 58 percent over the same period — and even these statistics assume the arrival of a million non-European settlers every year. You might think that the dearth of young people would leave employers scrambbling to attract the few available workers, but that’s not how things have worked out. A quarter of under-25s in the eurozone are jobless, with that figure rising to more than half in Spain and Greece. If you want a truly astonishing statistic, how about this: The United Kingdom has created more jobs in the past four years than the other 27 EU nations put together. Many of its present problems stem from that clause. In much of the world, especially Asia, the trend is now for powers to be devolved, diffused, democratized. But the EU is going in the opposite direction, grabbing more and more authority for the center. The new president of the European Commission, Luxembourg’s Jean-Claude Juncker, wants tax harmonization, debt pooling and a continent-wide minimum wage — as well, naturally, as a single European citizenship, with full civil rights, including voting rights, across the various member states. Such centralization removes the competition that constrains big government. A normal country pays a price for having higher tax rates than its neighbors. But a different dynamic applies in the EU. When it emerged, a couple of weeks ago, that Luxembourg had been undercutting other countries by offering special tax rates to big companies, EU finance ministers responded by demanding a harmonized European corporate rate tax. Hands up anyone who thinks that rates will be harmonized downwards. Hundreds of years ago, Europe rose to global supremacy precisely because there was competition among its states. Rival civilizations — Ming China, Mogul India, Ottoman Turkey – were single empires. They became uniform, overregulated and overtaxed, and so fell behind. How sad that, just as these states learn the advantages of pluralism, Europe is becoming as hidebound as an early modern Asiatic monarchy. The United States started from a far, far better place: states’ rights were guaranteed; and, within most states, too, there were constitutional safeguards against over-mighty government. Still, we can all see the direction of travel. It won’t do to blame the rise of the federal government on the current president: The two Roosevelts, for different reasons, agglomerated more powers than he has ever done. Still, it’s hard to avoid the conclusion that America is becoming more like Europe, as authority slides from local representatives to federal officials. Like the mandarins of old, these officials are well-educated, well-mannered, well-intentioned, and wrong. The most brilliant elites will never match the inventiveness of an unconstrained populace. The best and wisest bureaucrat will always lag behind entrepreneurs. Fifteen years ago, all the cleverest and most qualified people in Europe were assuring us that a single currency would boost the prosperity of the states that adopted it. Today, Europe is finding out what happens when you entrust your future to remote officials. And America? I have a nasty feeling that America may be closer to that point than we realize. Dan Hannan is a British Conservative MEP.